Unearthed! Amanda Brittin is fascinated with the ancient and eroded look of Norse and Roman jewellery found on archaeological excavations and is inspired to create pieces for men and women with an earthy and distressed appeal. 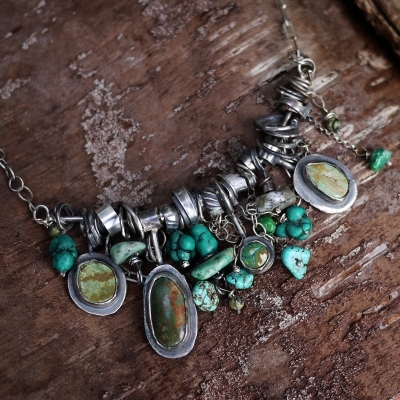 Amanda Brittin's jewellery work is a unique combination of rustic & sophisticated, using silver, gold and bronze and a mix of gemstones to create eye-catching wearable art to suit anyone. Unearthed! 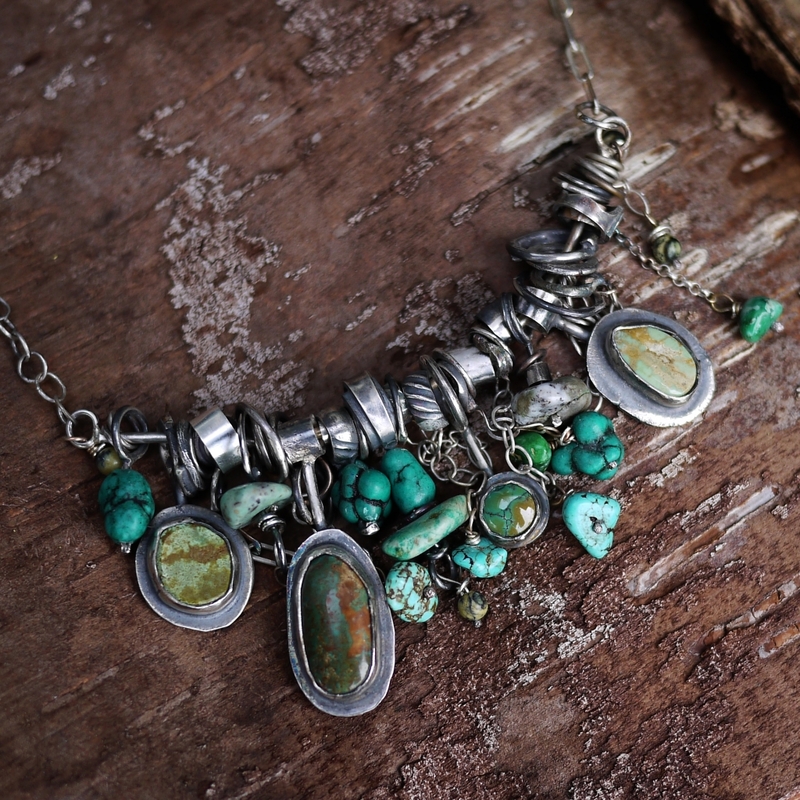 Amanda Brittin is fascinated with the ancient and eroded look of Norse and Roman jewelry found on archaeological excavations and is inspired to create pieces for men and women with an earthy and distressed appeal. 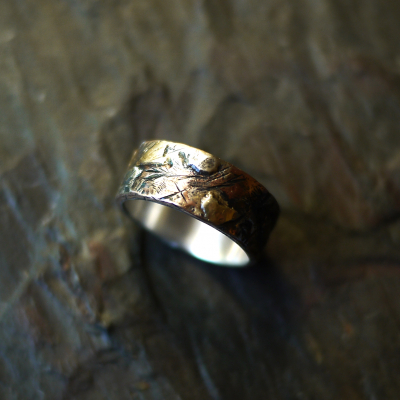 Her latest series of pieces, called "Unearthed" combines layers of gold, bronze and silver. 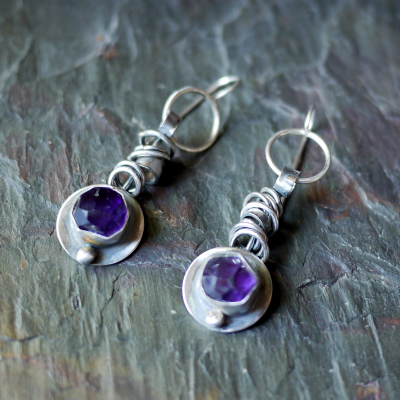 Through the addition of gemstones like turquoise, garnet or amethyst, as well as dark oxidizing patinas, she is able to bring an old world charm to her modern take on jewelry. I describe my work as rustic and industrial, perfect for making a statement, but really for everyday wearing. Amanda has an educational background in Anthropology and Archaeology so she comes by her enjoyment of antiquities and medieval art honestly! Are you looking for interesting pieces with a hand-forged and rustic appeal? Amanda will be a guest artist at Gretel Boose's studio during the 2018 Uxbridge Studio Tour. Be sure to drop by to see her latest work. 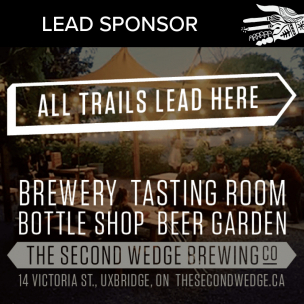 Meet Amanda Brittin at Studio 21 during the 2018 Uxbridge Studio Tour.